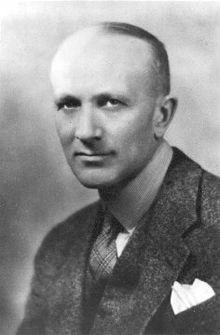 Canadians might not immediately recognize the name Wilder Penfield, but many of them have been exposed to his work: the Montreal Procedure that he developed for the treatment of epilepsy was featured in a Heritage Minute. The brief, dramatized video from Historica Canada – aimed to highlight important moments, events and people in Canadian history – shows an operation where the patient is conscious under local anaesthesia. As the surgeon gently prods different parts of the brain searching for the scar tissue causing the seizure, the patient tells him what she senses. This process leads to a climax where the woman exclaims “I smell burnt toast.” Surgeries on the areas of the brain involved in a person’s epileptic seizures are still used today. Wilder Graves Penfield was born in January 1891 in Spokane, Washington but spent most of his childhood in Wisconsin. He attended Princeton University and received a bachelor’s degree in 1913. He then applied for – and was accepted for in 1915 – the prestigious Rhodes Scholarship to attend Oxford University in the UK. It was at Oxford that Penfield was influenced by the renowned physician and medical writer William Osler and physiology professor Charles Sherrington. Following his studies in England, Penfield completed his MD at John Hopkins Medical School in 1918. He became well established at the Presbyterian Hospital and was in high demand, receiving job offers from a number of prestigious institutions, one of which was the Royal Victoria Hospital at McGill in Montreal in 1928. At the time there was one surgeon, Edward Archibald, doing all the neurosurgeries but he was more interested in thoracic surgery, as tuberculosis was a major problem. So Penfield was asked to join the RVH and told that he would be in charge of neurosurgery. He would also be responsible for research and teaching, and this was a big draw for Penfield. He was a strong believer in the idea that clinical and basic science needed to go hand-in-hand for the sake of advancement. Penfield accepted the job offer and moved to Montreal in 1928 along with his surgical partner William Cone. Penfield was involved in major discoveries regarding epilepsy. During the first half of the 20th century, medications were not all that effective for treating epilepsy, and thus surgeries were conducted to relieve seizures. This was Penfield’s area of interest. Initially, he was typically dealing with people who had developed epileptic conditions after suffering from head injuries – such as gunshot wounds. The seizure pattern would be studied to determine the area that the seizures were originating from, and that area would be operated on. In the process of these operations, a brain scar was often discovered. When this scar was removed, it would frequently relieve the epileptic symptoms. One of Penfield’s early contributions was the description of these scars, which he called the meningocerebral cicatrix (MCC). This discovery provided the hope of a cure of the patient’s epilepsy because there was a visible lesion to operate on. Penfield became specifically interested in temporal lobe epilepsy. A combination of seizure patterns and Herbert Jasper’s electroencephalogram (EEG) – a test that measures the electrical activity in the brain – was used to determine the location of origin but often when they went to operate, no MCC or tumour would be found. In these cases, the procedure would be ended because it had been found that there were few positive results when no lesion was present. However, it was discovered on a second operation of the same patient where the superficial portion of the temporal lobe had been removed, the surgeon could see a scar in the deeper portion – the mesial temporal lobe, which includes the hippocampus and amygdala. The removal of this lesion, now known as mesial temporal sclerosis, would lead to relief from seizures. The removal of parts of the neocortex and the deeper temporal region guided by EEG performed by Penfield and Jasper is the procedure that became known as the Montreal Procedure. The Heritage Minute demonstrating the Montreal Procedure also highlights another aspect of Penfield’s work that involved stimulation of the brain. When different regions of the cortex were stimulated, Penfield’s patients would report hearing a certain sound – such as a song – or see scenes from their past as though they were watching a movie. Penfield referred to this as experiential phenomenon and published extensively about them. He also found that stimulation of the deeper areas such as the amygdala would lead to the patient reporting what would happen during their seizures, which was considered proof that there was in fact a scar in that deeper region. Stimulation of the cortex also led Penfield to the discovery of the supplementary motor cortex, a new location that was responsible for language. To that point, the general areas of the brain involved in language function were known – Broca’s and Wernicke’s areas – but Penfield was able to map them more precisely, along with the functions of the sensory and motor cortices. In Montreal, Penfield was able to create an institute in 1934 that brought together scientists and clinicians from a variety of specialties – the Montreal Neurological Institute. The Neuro, as it is fondly referred to, was developed with a $1,000,000 donation from the Rockefeller Foundation which – as was the Rockefeller policy – was matched with donations gathered by McGill. It took the principal of McGill – General Arthur Currie, known for establishing Canada as a nation at Vimy Ridge – two phone calls to match the Rockefeller donation, one to the premier of Quebec and the other to a wealthy Montreal citizen. The members of the neurology department of the Royal Victoria Hospital moved across the street to the new MNI in 1934. The hospital portion was funded by the city of Montreal, while the research was funded by donors. A fellowship was created from the generous donations of Madeleine Ottman, whose son Penfield had operated on at the RVH. This fellowship allowed talented people from around the world to come to Montreal to work and to learn. “People of great value were able to Montreal right from the beginning, and that gave great credibility and visibility to the MNI,” says Dr. Richard Leblanc, a neurosurgeon and physician-scientist at the MNI and a professor at McGill in the Department of Neurology and Neurosurgery. Dr. Leblanc co-authored a text with Dr. William Feindel (1918-2014) about the MNI’s first fifty years that was published in 2016. Over the years, new people came to the Neuro who could then hire and finance their own fellows. Many went on to hold leading positions at other prestigious institutions. A number of institutions and early departments of neurology and neurosurgery – clinically and academically – were created by people who had been at the MNI. Penfield himself served as the Director of the MNI from its inception in 1934 until 1960. Today, the Neuro is home to North America’s largest neuroscience graduate program with trainees from more than 60 countries.